Pastoralists’ culture values the livestock, but many lack the capacity to establish Sustainable Rangeland Management (SRM) and optimal livestock management to maximize the output for the effort invested. The Grazing for Growth (G4G) curriculum at a training center on the northern edge of the Mara ecosystem aims to enhance disaster resilience of vulnerable communities to end drought emergencies in pastoralist environments by introducing new innovations while building on indigenous knowledge. 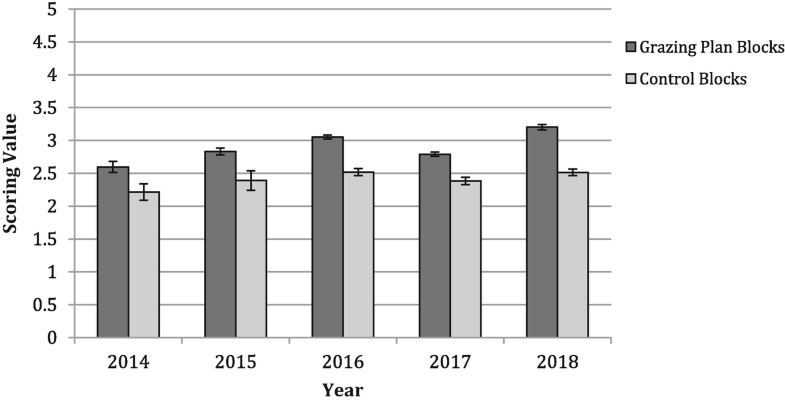 The difference in overall quality between the experimental and control grazing blocks has improved from a difference of 7.6% in 2014 to 13.5% in 2018, demonstrating overall improvement in grassland managed through SRM. According to observational narrative, the improved quality of the grasslands has improved wildlife biodiversity and populations, although preliminary transect data is as yet inconclusive. Multiple enterprises support the community contributing to its overall resilience. A slaughterhouse eliminates the middleman in cattle trading. Tourism accounts for revenue from a lodge and visitors to a real estate entity capitalizing on the development of a bush-home community. Incorporating multifaceted enterprises is an important aspect of modern conservation of rangelands and promotes coexistence between people and wildlife by rehabilitating rangeland used by all. Due to the rapidly growing population, accompanied by climatic and political influences, the world’s rangelands are facing increasing pressure to avoid future disasters (Fratkin and Mearns 2003; Solomon et al. 2007). Traditional practices of pastoralism are under threat by competition for more lucrative land uses such as mechanized arable farming, which has been shown to result in soil degradation (Van Oudenhoven et al. 2015), increasing fragmentation (Hobbs et al. 2008), thereby decreasing wildlife habitat and overall biodiversity (Homewood et al. 2001). Climate change impacts all agricultural enterprises, pastoralism not excluded. Over the past 4 years, pastoralists have struggled with coping with recurrent drought in increasing frequency manifested by increased competition for resources and losses of livestock from starvation (http://reliefweb.int/disaster/dr-2014-000131-ken). In addition, traditional pastoralism is wrought with issues such as interbreeding, high parasite loads and degenerative overgrazing, and a struggle to reach the market and attain the price their owners are seeking (Fratkin 2001; Serneels and Lambin 2001), which could be avoided through better management practices. Agriculture is arguably the sector most affected by climate change and people living in arid and semi-arid lands (ASALs) bear the brunt of its negative impacts (Stige et al. 2006). These fragile ecosystems are facing a recurrent combination of natural disasters, food chain crises, conflicts, and protracted crises (Kabubo-Mariara 2009). Within the vulnerable environment of ASALs, it is imperative to anticipate and plan to prevent recurrent crises affecting food security and nutrition (Lankester and Davis 2016). 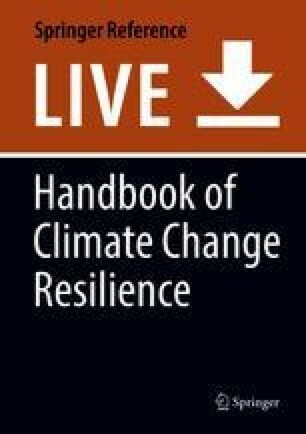 While mitigating the future rise in global temperature has received much attention worldwide, support to help those vulnerable adapt to the inevitable impacts of climate shocks and stresses has been limited (Lybbert et al. 2004). Climate change adaptation in developing countries may cost between US$70 billion and US$100 billion per year for the period between 2010 and 2050 (UNEP 2016). Given that current donor and government funding is neither sufficient nor sustainable, there is an urgent need to engage private capital and enterprise in climate change adaptation (Lybbert et al. 2004; Norton-Griffiths 1996). Large-scale arable farming is necessary to feed the growing population of the world, but the scope and practices present a challenge to preserving biodiversity, especially in high-risk locations bordering protected areas. Eighty percent of all threatened terrestrial bird and mammal species worldwide are imperiled by agriculturally driven habitat loss (Tillman et al. 2017). The alternative of a mixed use area where wildlife and livestock co-exist is more suitable for buffer zones (Oguta et al. 2016; Tyyrell et al. 2017). However, livestock husbandry also has historically degraded the land (Van Oudenhoven et al. 2015) and livestock farmers are not always willing to cope with the constant struggles presented by human-wildlife conflict (Ogada et al. 2003). Research has shown that if herders are vigilant and mobile bomas are utilized properly at night, the risk of livestock predation is minimal (Ogada et al. 2003; Riginos et al. 2012). On the other hand, predators can encourage the ungulates to vacate areas in the short term, allowing more recovery for the grasslands and eventually more resources for the livestock (Bauer et al. 2015; Bowyer et al. 2005). A complete ecosystem, including apex predators, is ideal in situations where livestock and wildlife coexist, as the natural balance is restored (Bowyer et al. 2005; Western et al. 2015; Ripple et al. 2014). With the innovative approach of Sustainable Rangeland Management (SRM), there is an opportunity to manage the rangelands in such a way that both livestock and wildlife benefit (Porensky et al. 2013; Riginos et al. 2012; Vavra 2005). When livestock are grazed according to a plan, the foot action of the livestock can assist in aerating soil, essentially ploughing their manure into the grassland, increasing the organic content and enabling grass and forbes to take seed (Lankester and Davis 2016; Young et al. 1997). Pastoralism is more resilient against climate change than arable farming because it is adaptable and mobile. 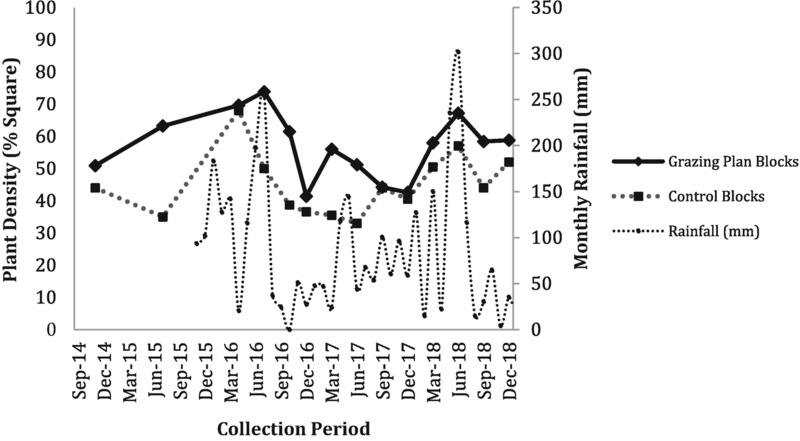 In cases of prolonged or serious drought, herd size can be adjusted to cope with climatic events or the livestock can be moved to an area that has received adequate rainfall (Lankester and Davis 2016; Mureithi et al. 2014). SRM demands constant attention and adaptive management, assessing the quality of grassland and planning for the future by allowing land to rest and rejuvenate before commencing intensive grazing (Oba 2012). Traditionally agro-pastoralists, the Maasai in East Africa, have been faced with challenges including human population growth, land degradation, privatization of rangeland, urban migration, and political conflict (Fratkin 2001). These confounding factors have increased pressure to move into a market-based economy, but traditionally, cattle ownership holds intrinsic value in the Maasai culture (Little et al. 2008). Aside from contributing to their dietary needs by providing milk, meat, and blood, cattle serve as a living savings account, enhancing their social status and providing the family with assets that can be sold in times of financial need (Randolph et al. 2014). The choices made by Maasai landowners are not a simple function of the economic returns potentially accruing from a particular enterprise, but as much or more influenced by who is able to control the different flows of returns from these different types of enterprise (Solomon et al. 2007; Thompson and Homewood 2002). Traditionally, the Maasai view themselves as part of the ecosystem and historically, the ideals they hold embrace sustainability within wildlife dynamics, but the population growth has impeded on their co-existence as much as it has impeded on wildlife habitat (Galvin et al. 2006). The ancestors of the current Maasai population took pride in their coexistence with wildlife and had an understanding that predators were part of the natural balance, as were their livestock and families (Kinga et al. 2018; Western et al. 2015). Therefore, it is imperative for Maasai to understand, implement, and benefit from SRM practices to improve not only their livelihoods, but also for the preservation of rangelands and wildlife around protected areas. Wildlife holds intrinsic value worldwide, with many people travelling to East Africa to see its wildlife resources. Tourism accounts for 25% of Kenya’s GDP, 70% of which stems from wildlife resources (Korir et al. 2013). With the wildlife comes the burden of human-wildlife conflict which falls on communities that are located within the hotspots of biodiversity, often along the borders with protected areas (Lankester and Davis 2016). Therefore, wildlife management needs to be reformed to secure more benefits for the communities that shoulder the burden of conservation policies to ensure those communities benefit from the wildlife (Kabiri 2010). Examples of communities lacking substantial income from supposedly community led tourism ventures are numerous. An investigation conducted in 2012 found that Maasai collected as little as 5% of the tourism revenue with the rest accruing to tourism operators and associated support services. Although initiatives to improve accountability have been initiated, many have fallen short because of poor and corrupt management practices (Bedelian 2012). Conservancies are critical in creating more space for conserving biodiversity and ecological services outside state protected areas and buffering protected areas from growing human impacts pressing on their edges (Oguta et al. 2016; Western et al. 2009). But conservancy members must see the benefits of being involved in conservation initiatives. However, the tourism market is fickle, vulnerable to political instability throughout the world, and climate change may exacerbate the vulnerability (Bunce et al. 2010; Loon and Polakow 2001). When Kenya was wrought with postelection violence in 2008, the tourism revenue dropped 56%, a crippling amount in a country where a large portion of the GDP flows from tourism (Bedelian 2012; Bunce et al. 2010; Korir et al. 2013). In addition, high-end tourism and hospitality often calls for specialized training to accommodate guests with certain expectations (Kiss 2004). This disconnect seems to facilitate a lack of ownership within the community and without cohesion with the tourism enterprise, communities are apt to view tourism ventures only for the monetary profit rather than a source from which to share their cultural pride or pride for the wildlife resources they have protected. Seventy percent of Kenya’s tourism revenue comes from wildlife tourism (Korir et al. 2013). Ironically, wildlife throughout Kenya has experienced a 70% decline throughout the last three decades (Bedelian 2012). Conservancy members are more likely to buy into the conservation of biodiversity and the wildlife supported by ecosystems on their land if the conservancies become successful and lucrative. Training would be essential to instill the Maasai with pride for the wildlife supported on their land, while directing attention to the evidence of wildlife conservation being directly related to the financial success of the conservancy (Reid et al. 2016). The Maasai Mara and the annual wildebeest migration was named one of the seven new wonders of the world in 2006. Although many of the Maasai were issued land titles in a land grab in the 1970s and 1980s, they are currently competing with wildlife for space, and pastoral Maasai livestock face the additional challenge of competing with wildlife for food availability (Bedelian 2012; Bowyer et al. 2005). As the generations progress, land parcels are getting smaller and smaller for the descendents of the original Maasai that acquired land titles, which has resulted in a movement of landowners moving to other parts of the country where they own another parcel of land which is more developed enabling them to send their children to better schools. The culture of the Maasai has been significantly watered down, although those who hold on to the pastoral traditions have a lot of pride in the occupation of their ancestors. The battle for preserving the variety of wildlife within the Mara is not a battle that needs to be fought with the Maasai (Reid et al. 2016; Norton-Griffiths 1996). If in fact, a pastoral livelihood is most compatible with wildlife tourism and the livestock are used to enhance the grassland for the wildlife, both could capitalize and the multiple enterprise model of wildlife and livestock coexisting. A lucrative alternative to arable farming could be a resounding success and in the case of Enonkishu Conservancy, the surrounding neighbors could want to be part of that success, which would mean pushing the boundary of the front line of conservation within the Maasai Mara. The success of the model could be replicated in similar situations where conservation areas that are technically protected areas could contribute significantly to the conservation of wildlife species. It would be a benchmark for conservation and one of the rare success stories in the field of conservation biology. In the discussion of building disaster resilience, especially among the disadvantaged rural communities of Kenya, preserving biodiversity is a valid objective. A decline in biodiversity has adverse effects, many of which are not identified until the loss in biodiversity has already occurred. Protected areas are not the only solution to the loss of biodiversity, as the sustainable management of grasslands and rangelands to enhance pastoral livelihoods and the conservation of wildlife habitats is one form of ecosystem-based adaptation that can provide multiple socio-cultural, economic, and biodiversity co-benefits (Osano et al. 2015). Protected areas could cover 17% of the world’s terrestrial area by 2020, but biodiversity is still declining because of the boundary areas and population growth and because most biodiversity resides in human-modified landscapes (Western et al. 2015). Historically, wild areas were prevalent without being categorized as protected areas. However, as the human population has grown and more development has occurred within wildlife habitat, humans are encroaching on many of the world’s wildlife habitats, hindering biodiversity (Green et al. 2017). Wildlife conservancies could fill a gap in the designation of protected areas. In Kenya, a wildlife conservancy is defined as a conservation area set aside by an individual landowner, group of owners or a community for purposes of wildlife conservation in accordance with the provisions of the Wildlife Act (Osano et al. 2015). The conservancies surrounding the Maasai Mara National Reserve (MMNR) provide habitat for the majority of the wildlife residing in the Mara Ecosystem, yet receive none of the revenue from the reserve fees paid at the MMNR gates. Therefore, the need for outside funding in order to support the Mara Conservancies and preserve the biodiversity of one of world’s hotspots is immense. Each conservancy has developed their own payment scheme to entice landowners to set aside their land for wildlife conservation. Offering an alternative income in addition to tourism revenue has potential to increase the income of the Maasai and satisfy their monetary investment in the land they own. The preservation of biodiversity and a well-balanced ecosystem relies on the resilience of populations of large carnivores. Large carnivore populations have been declining due to habitat change, conflicts over livestock, utilization of body parts, and depletion of prey (Bauer et al. 2015; Green et al. 2017). Large carnivores are particularly vulnerable to the threat of human population growth around protected areas due to their large home ranges and slow life histories. Large carnivores inside one of the most heavily touristed game reserves in the world may not be adequately buffered from the environmental degradation from arable farming and human settlement occurring along its boundaries, highlighting the importance of solid management within Kenya’s conservancies (Green et al. 2017). Anthropogenic disturbance near the edge of a protected area can concurrently influence populations of multiple large carnivore species (Bauer et al. 2015). Carnivores on the edge of protected areas especially with herders and livestock are vulnerable to being attacked by Maasai if the people do not recognize the benefits of having large carnivores around. Community-based ecotourism has become a popular tool for biodiversity conservation, based on the principle that biodiversity must pay for itself by generating economic benefits, particularly for local people (Kiss 2004). In Kenyan conservancies, the typical model of ecotourism includes revenue sharing with conservancy members. Alone, ecotourism can be incredibly fickle and unsteady, but when supplemented with SRM, livestock husbandry, and appropriate training on the importance of preserving biodiversity, conservancy members only stand to benefit from multiple enterprises (Oguta et al. 2016). Utilizing buffer zones around protected areas by providing management of rangelands will increase the revenue gained when conservancy members can also utilize the pastoral lands responsibly (Oguta et al. 2016), while maximizing the output. Approaching biodiversity conservation with a business mindset has potential to reach people whose primary objective is not conservation alone, but rather maximizing their assets by investing in the conservation of biodiversity. Prioritizing people’s development through community conservation is a strategy used by multiple nongovernmental organizations to serve both purposes of uplifting the livelihoods of local people while preserving biodiversity by making it pay for itself. To a certain extent, landowners’ livelihoods need to be prioritized over conservation because without the landowners’ support, conservation efforts are likely to fail (Pellis et al. 2015). Disseminating science at an understandable level and full engagement in pastoral and wildlife policy development is likely to produce a positive outcome for all involved (Reid et al. 2016). When local people are engaged in such activities, science and local knowledge together insight pride and ownership over conservation initiatives (Reid et al. 2016). There are several positive pathways to build coexistence in the management of livestock husbandry, wild herbivores, and other wildlife species (Riginos et al. 2012; Young et al. 1997). Nutrient hotspots are created when mobile bomas house livestock overnight and these hotspots can attract specific herbivores and subsequent carnivores, increasing the biodiversity and wildlife populations of rangelands (Riginos et al. 2012). A positive side effect of nutrient hotspots is that the efficiency of livestock production is improved, a major recommendation for increasing the resilience of ecosystems (Schader et al. 2015). As grass-fed livestock engage in multiple uses for rangelands, it reduces the land requirement of supplying feed lots, which are grossly inefficient in the production of food (Schader et al. 2015). Many wildlife species are threatened with extinction because of human activities. It is imperative that natural lands are protected and serve dual purposes if biodiversity and threatened species are to survive (Tillman et al. 2017). Large carnivores are among such threatened species (Bowyer et al. 2005) and are imperative to the resilience of ecosystems. Preventing the extinction of these species and the loss of their irreplaceable ecological function and importance will require novel, bold, and deliberate action (Ripple et al. 2014). Proactive international efforts to increase crop yields, minimize land clearing and habitat fragmentation, and protect natural lands could increase food security and preserve much of the Earth’s remaining biodiversity (Tillman et al. 2017). Conservancies in Kenya have the opportunity to explore a new mode of conserving biodiversity. Promoting the coexistence of wildlife and livestock pastoralism to the mutual benefit of all may be the silver bullet in ensuring the survival of the Mara Serengeti Ecosystem and the biodiversity therein. With the success of this model, documented with adequate and thorough data, Enonkishu is poised for the expansion of a crucially important ecosystem. The theory of livestock owners in East Africa participating in a “tragedy of the commons,” where pastoralists are selfish and aiming at maximizing short-term offtake with no consistent management of the commons, is not universal (Allsopp et al. 2007; Fratkin and Mearns 2003). Multiple studies show that livestock owners are concerned about the sustainability of quality grasslands and the resulting land degradation of communal areas (Allsopp et al. 2007; Lybbert et al. 2004; Solomon et al. 2007). Furthermore, indigenous local knowledge is essential to building grazing plans that can assist in the recovery of biodiversity (Oba 2012). However, there is a need for a balance between science, social values, economic feasibility, institutional traditions, and political muscle (Azadi et al. 2007). Livestock owners in rural Africa do have the capacity and skills to recognize the need for a long-term plan for sustainable rangeland management (Allsopp et al. 2007). Herders take their cue from the condition of the forage by focusing on key forage plant species and make deductions from livestock production performance to make decisions about changing grazing conditions (Oba 2012). Community management of natural resources does offer promise, but must explicitly consider the linkages between community management, environmental management, and conflict management (Haro et al. 2004). One has to be careful not to over-romanticize local knowledge. The empowerment of previously marginalized groups may have unexpected and potentially negative interactions with existing power structures (Reed et al. 2007), which is why it is essential to build understanding through SRM training. As outlined, all development ventures have their shortcomings: livestock owners are vulnerable to rainfall patterns; the tourism market is vulnerable to the current political climate; highlighting the importance of diversifying revenue streams by engaging in multiple enterprises (Lybbert et al. 2004; Wairore et al. 2015). Within buffer zones bordering protected areas, it is important to preserve biodiversity by extending rangelands into semi-protected conservancies, which are ideal for mixed land use livestock and wildlife grazing areas, and less than ideal for arable farming (Homewood et al. 2001; Tyrrell et al. 2017). Enonkishu conservancy is located on the far northern reaches of the Maasai Mara-Serengeti Ecosystem bordering Ol Chorro conservancy, Lemek Conservancy, and on the northern edge, arable commercial farmland. It is comprised of 4234 acres of land owned by 31 landowners who are paid an annual lease fee for preserving land use within the conservancy boundaries. Restricted land uses include permanent structures, harvesting natural resources (firewood), fences, arable farming, and a regulated number of livestock that must follow the SRM plan implemented by Mara Training Centre. The unique approach is the incorporation of multiple enterprises supporting Enonkishu, diversifying its financial support to curb vulnerability. A slaughterhouse that specializes in grass-fed conservation beef was established in 2014 within Enonkishu Conservancy. Its premise is that the company provides the market and is ready to buy on a transparent price per kilo basis. The company has solid relationships with supermarkets and other retailers in Nairobi and is able to deliver a consistent supply of refrigerated good quality meat on a daily basis. Tourism enterprises include Naretoi Holdings, a 1000 acre fenced real estate property comprised of 34 five-acre plots on which high-end homes are constructed. The community contributes conservancy fees for access to game routes within the three participating conservancies (Lemek, OlChorro, and Enonkishu). Within Naretoi is House in the Wild, a small safari lodge in which additional visitors pay rates per bed night for conservancy access. A training center was built in 2014 with funding from the Africa Enterprise Challenge Fund. It provides trainings to communities centered around social cohesion, improving livestock quality, and preserving biodiversity. Trainings thus far have focused on the implementation of SRM to enhance their ability to deal with drought emergencies. The trainings fall in line with the Sustainable Development Goal 15 (SDG 15: Life on Land) which aims to protect, restore, and promote sustainable use of terrestrial ecosystems by combating desertification, reversing land degradation, and eventually halting biodiversity loss. Enonkishu Conservancy serves as a demonstration site for the SRM taught and implemented by the training center. The beef company assists with the cattle management to inform and enhance landowners’ knowledge on methods by which to gain the most benefit, such as improving the genetic quality of Maasai Zebu cattle by introducing Boran bulls to the breeding herds. The model adapted by Enonkishu Conservancy and its stakeholders has implemented the concept of employing multiple enterprises to support the longevity of the conservancy and build resilience within the community against crises which any single enterprise might have succumbed. Teaching SRM with a tangible demonstration site nearby is an effective tool that could change the way conservation programs are operated across the country. The Grazing for Growth Program (G4G) at MTC introduces new techniques while building on indigenous knowledge. Through hands-on learning techniques applied in a group setting, with follow-up extension services over a longer time period, communities learn how to make informed decisions about their livelihood practices and resource use strategies. The purpose of the G4G program is to create a locally lead, locally designed, and locally implemented regenerative grazing plan and to stimulate innovation in livestock enterprises. Alongside this, the program aims to build capacity on the sustainable management of the environment and the importance of protecting the future resource base. The G4G curriculum first attracts representatives from the communities with an introductory course to engage them by showing evidence of the implementation of SRM. During the 3-day training, subjects covered include social framework, regenerative land management, and sustainable wildlife/livestock systems. After the introductory training, a smaller focus group of “champions” are selected who have influence within their communities and use that influence to motivate change. The champions are invited to attend an 11-day comprehensive course which covers the first three modules more intensely and includes two more modules on managing the livestock/wildlife interface and holistic financial management. Additional specialized trainings are offered to individualize trainings according to the needs of the communities in attendance. All of the training provides in situ examples using the Holistic Management demonstration site (Enonkishu Conservancy) as well as the cattle farm, where resources are used as case studies. The Enonkishu livestock form the group’s study herd, and tools such as illustrations, practical demonstrations, and real-life exhibits are used as learning aids, adapted to meet the needs of some illiterate group members. Enonkishu has been divided into 13 grazing blocks, demarcated by natural and manmade boundaries such as streams, hills, and roads. Eight of these blocks are utilized in the grazing plan implemented by trained staff at the training center. Fourteen transects have been set up from which five quadrats are examined during each biological monitoring session every quarter. There are four established transects of five quadrats each within control blocks that are not included in Enonkishu’s grazing plan (n = 20). Ten transects of five quadrats each are located within blocks implementing planned grazing (n = 50). Data is collected at an interval by laying a quadrat every 5 m along each transect. Each transect starting point has been marked with a metallic peg which serve as a focal point for photographic record. A GPS coordinate is also taken at the marker peg for easy navigation to the transect sites. Nineteen parameters are examined in each quadrat to describe cover, soil surface description, water movement, litter, and plant species. In addition, insect and animal presence is noted. The corresponding ratings are designed such that a rating of “5” indicates the best possible score, with “0” indicating the worst possible score. As an example, the parameter of Plant Density rates 5 if there is 100% plant cover, with a score of 0 indicating no plant cover. By contrast the parameter of Soil Erosion rates 5 if there is 0% erosion, with a score of 0 indicating 100% erosion. The first parameter investigated within every quadrat of each transect is plant density, measured by the percentage of the 1 × 1 m2 covered in plants. It is the one parameter that has been consistently accounted for during biological monitoring sessions since its inception in November 2014. However, at the onset, transects were monitored once annually, after the grazing season, which varied from 2014 to 2015. In 2016, the methodology was adapted to collecting data at the end of each quarter, with an extra session conducted if necessary to ensure data included the growing season. Beginning in June 2016, two 1 km transects were established within Enonkishu conservancy. The two transects are driven between 0700 and 0900 twice per month. All species located within 100 m on either side of each transect are counted and recorded. The data collected is intended to be part of a long term database to monitor wildlife as the conservancy progresses in its objectives of enhancing wildlife habitat through the tool of planned livestock grazing. As the dataset grows, it will be interesting to compare wildlife populations and biodiversity to transect data that has been collected elsewhere in the Mara-Serengeti Ecosystem. Additionally, eight conservancy rangers collect data from daily patrols throughout the conservancy which is recorded in a database. Such patrol data is useful in capturing more elusive or uncommon species such as predators or nocturnal wildlife species. Continual training and adaptation has been necessary to ensure data reliability, but in addition, a new method of patrol information is being implemented through the Maasai Mara Wildlife Conservancies Association (MMWCA) with their introduction of the Wildlife Information and Landscape Data (WILD) smart phone application. Data includes GPS locations so that wildlife and other incidents involving wildlife are continually mapped. The application allows conservancy visitors to participate in the wildlife monitoring by downloading the application and submitting data to Enonkishu management. In March 2017, a commercial herd of bulls was purchased by conservancy members in lieu of annual land rent. The intention was to fatten them on the conservancy and then sell them for a net profit. For the duration of the trading herd (4 months), bulls were weighed once per month which provided a valuable research tool to track the weight gain of cattle that are grazed properly according to SRM. In addition, the conservancy established a breeding herd in September 2017 to contribute to the long-term stability of the conservancy. Funds were raised to purchase 160 cows and pay for the herds’ care throughout its establishment of the initial 4 years. The herd is managed by the conservancy management team with the training center administrating the grazing plan, as it does with the cattle belonging to conservancy members. Data is collected monthly on weight gain, calving rate, and body condition. The majority of young heifers purchased from a local market are of the Zebu breed. Heifers were be crossed with a Boran bull to improve their genetics. Boran cattle tend to do very well in Enonkishu’s climate and are larger than the local Zebu breed. The initial herd will be sold after calving twice to ensure constant upgrading of the herd’s genetics. Monetary value will subsequently be tracked to quantify the value of a SRM program as cattle are fattened and bred in Enonkishu. Throughout 2017, trainings were funded by the Mau Mara Serengeti Sustainable Water Initiative (MaMaSe) project in partnership with SNV from the Dutch Embassy. In 2017, its inaugural year, the center trained 700 community livestock owners representing 15 conservancies or approximately 70,000 acres of land. Word of mouth has been a very powerful marketing strategy, which exemplifies the need for programs enhancing livestock management techniques and SRM. An investigation into plant density over the past 3 years shows a notable difference between blocks implemented in the grazing plan and the control blocks (Fig. 1). Data is strongly related to rainfall in the conservancy. Although the data from 2014 and 2015 is not as comprehensive as the last ten sessions (second quarter of 2016 through fourth quarter of 2018), data has been extrapolated for parameters where it was indicated on the raw data sheets. The resulting average score of all parameters shows a consistent trend of planned grazing blocks having higher scores than the control blocks (Fig. 2). In 2014, overall quality within grazing block quadrats was 7.6% better in the blocks implementing the grazing plan. By contrast, in 2017 (a very dry year) overall quality was 8.1% better in grazing plan blocks than in the control. In the first quarter of 2018, when Enonkishu received some rain and the vegetation began to grow, the overall quality within grazing block quadrats was 13.5% better than quadrats within control blocks that were not part of the grazing plan. Data from both transects have been collected over 60 days since June 2016 resulting in results for 120 transects. The most common species (>500 individuals) recorded are Thompson’s gazelle (Eudorcas thomsonii), white-bearded wildebeest (Connochaetes taurinus albojubatus), Burchell’s zebra (Equus quagga burchelli), and Common impala (Aepyceros melampus). The average number of species counted is 6.36, ranging between 2 and 12. The average number of animals counted is 119.0, ranging between 16 and 458. Preliminary data do not show an evident trend (Table 1), but the prospect of comparing long term data is promising. Eighteen wildlife species have been observed along transects within Enonkishu (Table 2). Many more species exist within the conservancy and have been counted on ranger patrols or observed by visitors and employees. Methodology standardization and training of rangers is ongoing to improve their data collection during daily patrols. Likewise, the data collected through the WILD application is still in its trial stage within Enonkishu, but shows promise for the collection of reliable spatial data in the future which can be compared to data collected elsewhere in addition to the development of more robust monitoring methodology. Within the trading herd of bulls purchased in March 2017, weight gain averaged 19.28 kg over a period of 3 months. The commercial herd resulted in 21 bulls being sold for slaughter by the conservancy members to Mara Beef at an average price of Ksh.34, 891 compared to the initial buying price which was on average KES 27,435, an increase in value of KES 7456. Although the overall success of the conservancy members’ short-lived trading herd was not resounding (five bulls died, impacting the net profit), there is evidence that a fattening-up period following the carefully monitored grazing plan can substantially increase the value of local cattle. The breeding herd established by donors from the United Kingdom was named Herds for Growth (H4G), as its success is intended to be the driver in growing the conservancy. The initial purchase of 45 heifers took place in September 2017 and has increased in size from month to month. Currently, there are 155 heifers in the herd. The average purchase price was approximately $1.16/kg at the local market. Forty-two have been served by a Boran bull. When livestock first is brought to a new location, there is a transition period in which it is not uncommon for livestock to lose weight from the stress of adapting to a new herd and environment. The 45 members of the initial herd of heifers have gained on average 16.2 kg over the last 6 months. Establishing a multiple enterprise model encompassing SRM is setting a new standard for community conservation that builds on disaster resilience within vulnerable communities. With continued support and adaptive management, the resulting success can be implemented in various rangelands supporting the growth of conservation areas within buffer zones on the edge of protected areas. The multifaceted results offer numerous opportunities for tracking progress as the model progresses. The training center is in the process of developing a program for monitoring and evaluation that could be implemented across the Mara, in conservancies that will participate in SRM. Obtaining baseline data is essential to tracking the success of the program and will yield exciting results in the near future. The scaling up of monitoring and evaluation in Mara conservancies has vast potential. The success of the training center in its initial location has been well received by surrounding communities and struggling conservancies throughout the region. Part and parcel of that success has been invitations to introduce a multienterprise model to various locations across Kenya (currently three locations are being investigated). The majority of requests have come from severely degraded environments where there are little resources to attract revenue generating ventures. Livestock husbandry is not the only option to build a broader revenue base. Rather than focusing solely on rangeland management, the goal is to develop creative solutions customized to each location. Remaining open to adaptive management is a strategy maintained within the model. Building disaster resilience in such environments will be a challenge, but the success of Enonkishu with improved biodiversity, improved livestock husbandry, and improved livelihoods of the landowners serves as a goal in many of the devastated regions requesting assistance. With the standardized collection of biomonitoring data, future results are likely to show a larger difference in overall quality of blocks incorporated into the grazing plan compared to the control blocks. Any trend indicating lower quality grassland over time is likely caused by a difference in rainfall from year to year, which logically levels the playing field. An obvious result of low rainfall is decreased productivity within each quadrat, but a less obvious result is increased pressure from herders as they fail to adhere to the grazing plan during periods of low rainfall. Fortunately, the use of a grazing plan is most important during the season where the grass is growing. It is evident from the 2018 first quarter that blocks incorporated into the grazing plan recover faster than blocks that are not included in the grazing plan (Fig. 1). In Enonkishu, there is constant monitoring of the grazing plan and the herders implementing it to ensure adherence. It is highly suggested that any area incorporating a grazing plan closely monitors the daily livestock movements. Without supervision, herders are influenced by their experience to graze where the grass is green, hindering the recovery process within grasslands that have already experienced intense grazing. The approach used at the training center is very conversational. Herders are given the opportunity to explain why the herds should deviate from the initial plan. There are many variables involved in deciding the best place to graze and administering a grazing plan incorporates adaptive management (Tyrell et al. 2017). As conditions change with above average rainfall or an influx of wildlife, the plan is adjusted accordingly. The most important aspect is that the herds all graze in the same block, bunched together to maximize the ploughing action of their hooves and incorporation of their manure into the soil. While recovery time for each block is also an important aspect, it is logical that each block has its advantages and disadvantages. Enonkishu encompasses Kileleoni Hill, the highest point in the Maasai Mara. It is treacherous to climb and as it is forested, the risk of predation is higher than on the savannah covered grazing blocks. Maasai herders are the employees that know best about the condition of each grazing block, regardless of how often the more scientific method of biomonitoring occurs. Although the grazing plan is implemented by the training center, there is an ongoing conversation with the herders to ensure they are sharing the same objectives of allowing vegetation to recover. To embrace change in mindsets all around, the inclusion of scientific data collection can encourage strengthening of communities’ capacity to manage and promote the health and wellbeing of their rangelands resource. Educating the herders on SRM (and subsequent monitoring) along with the livestock owners further engages the community in conservation. The transformative intervention then hits all levels of management and the benefits of SRM are more universal, therefore uplifting the livelihoods of a wider base within local pastoralist communities. Encouraging implementation of SRM and showcasing the scientific results will engage pastoralists, herders, and livestock owners alike, to design a sustainable future integrated with the conservation of biodiversity. Collecting information on the wildlife populations within the conservancy is important for several reasons. Wildlife is incorporated into SRM and the carrying capacity must include biomass consumed by wildlife species. Wildlife fluctuations could impact the tourism enterprises incorporated into the model, and populations of ungulates are used to assess the populations of more elusive carnivores. There has been marked improvement in wildlife numbers since the inception of the multifaceted model in 2014, but the data to support observations has been inadequate. However, as rangers are learning how to collect thorough and accurate data, the conservancy is also recording their general impressions of monthly counts of prevalent wildlife species. Conservancy management maintains that a general impression of the number of each species is better than poorly recorded patrol data that tends to be incomplete. With new and varied methodologies in place, it will be exciting to see how SRM affects wildlife populations, which influence the tourism enterprises and can be used as a general assessment of the success of the conservancy. In addition to the historical wildlife data collected, Enonkishu needs to bolster the availability of wildlife data throughout the conservancy. Therefore, Fixed Route Foot Patrols are now being conducted weekly from each of three field camps. The rangers will also climb Kileleoni Hill (the highest point in the Mara) and observe their surroundings for 2 h, recording any species within their sight. Methodology has been designed in such a way that volunteers can collect data along vehicle transects. Similar data will be collected from a few man-made water points within the conservancy, and in September 2018, a grid transect camera trap survey was initiated to capture and inventory elusive species present within conservancy boundaries. Enonkishu strives to collect data necessary to track improvements in the ecosystem as well as forming collaborations with species specific researchers who could include Enonkishu in their study area. Particularly interesting is the seasonal sightings of African wild dogs (Lycaon pinctus), which were observed on four occasions from June to August 2017, but increased in frequency throughout 2018. The location of Enonkishu has so many implications for research opportunities, because of its location on the northern edge of the Mara-Serengeti Ecosystem and the proximity to human habitation, a model that applies to so many protected area edges at a global scale. Incorporating a breeding herd into the multienterprise model will be advantageous for the members of Enonkishu Conservancy. Rather than livestock owned by a few (roughly 40%), this herd and the resulting revenue will support all members of the conservancy for years to come, generating annual conservancy member rental payments and running costs. However, the initial investment in managing and caring for the herd is substantial. A current advantage, even in this initial phase, is that conservancy members are able to sell their heifers to H4G for some extra income, while also evening out the number of cattle in the conservancy. It is an easy sale with no stressful transition for the heifers purchased. Seventeen of the 155 cows have been purchased from conservancy members, demonstrating their buy-in of a conservancy herd as an ambitious model that can improve their future livelihood. The projected financial model predicts that by 2020, the breeding herd will generate half of the income necessary to lease the land from Maasai conservancy members. With time, the herd could enable the conservancy to increase the rental rate per acre and prove to the conservancy members that livestock and wildlife coexistence can be more lucrative than any likely alternative use of their land. Collecting continued data on the H4G will be advantageous for MTC to showcase the monetary success of SRM and optimal animal husbandry, which will promote the program further in support of conservation and the multienterprise model proposed by Enonkishu and MTC. In experimental cases of establishing sustainable rangeland management, the model will take time to develop, but collecting vital data throughout the process will showcase the model so that it can be adapted elsewhere. Building resilience against drought with the confounding factor of current climate change is of utmost importance. Using a multienterprise model enhanced with training communal pastoralists on livestock husbandry offers a lucrative income to landowners, as well as maintaining biodiversity which is so important within buffer zones on the edge of protected areas. With so many variables playing a role in land degradation, it is prudent to combat the issues with a multi-faceted approach. With detailed data collection to document the benefits of SRM and related trainings, evidence for a multienterprise model will bolster the argument of a sustainable future for rangelands. Land owning communities are in the best position to take the responsibility of the health of their land – their future resource base. This responsibility is shared with tourism partners and other stakeholders all of whom share a common holistic context, with common values of wanting secure futures, healthy families, and healthy profits, in a healthy environment.